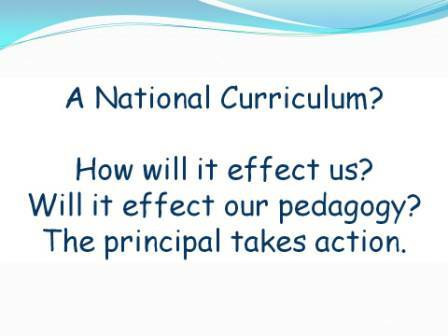 Following on from where we left off, this is the nuts and bolts part of the lecture where we finally get to discuss the practical side of implementing the National Curriculum using a play pedagogy. Along with group planned ideas, some children initiated individual ideas and worked on these independently, seeking help when necessary. 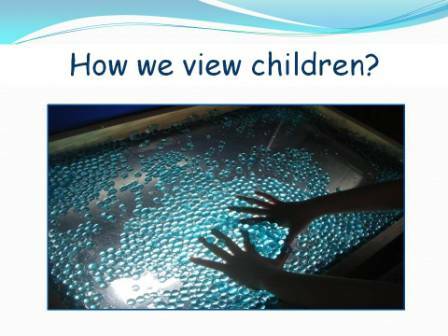 This sometimes hidden learning, demonstrates the richness of a child negotiated, play based pedagogy. I say hidden because in the following example I did not know what had been created until I found it inside the horse I brought in to show you. Inside the saddle bag of this particular horse which belonged to the “Chief Knight” I found some green paper and written on it was “The Inspecchin”. 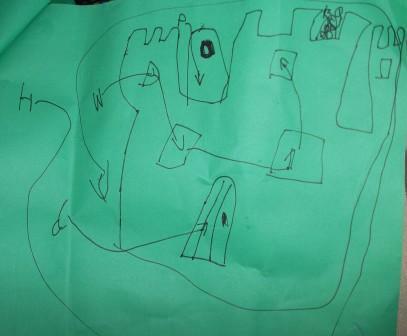 When I opened it up I found a carefully drawn map of the classroom castle and the route the knights need to take when guarding the castle against the foes. 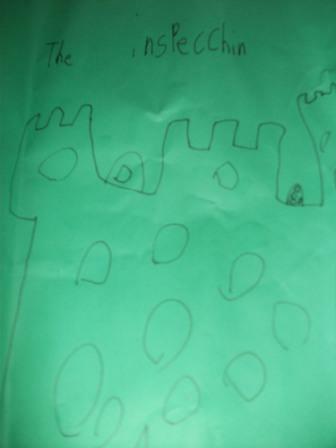 The knight has identified the windows with a w and the door with a d. The route that needs to be followed on horse back is marked with an h.
Another child was observed looking at a book about organising a party and he explained that he was finding out how to write an invitation. Invitations were on our list of things to do and I decided to use this as an opportunity to explore the genre and revisit learning from a prior investigation. 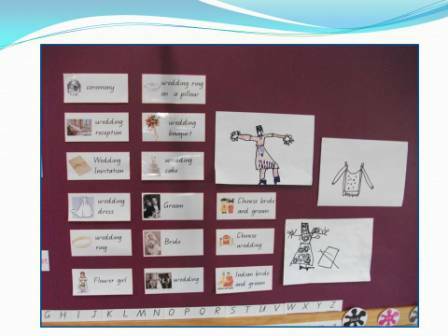 Once again, using the IWB, we looked at different kinds of wedding invitations and the children decided through a democratic vote that they wanted to use a border (n0 flowers, wedding bells etc.). We “googled” borders and quickly chose the one on the slide. 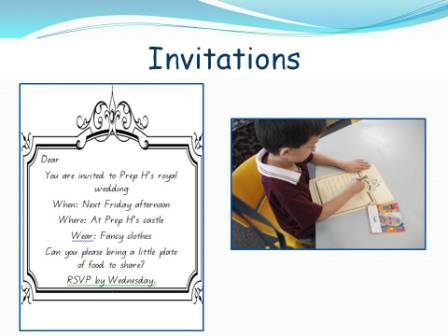 We then created the text for the invitation, problem solving and discussing what information was needed by the guests. Once the invitations were composed, they were printed on paper, again chosen by the children through a vote (lots of counting and recording was practiced). 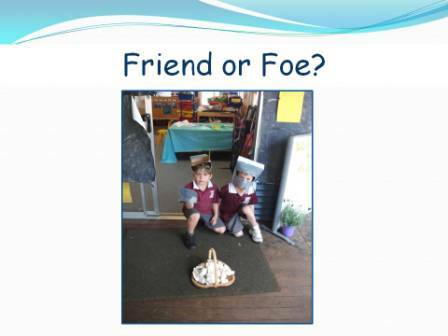 Every child chose a friend (by Lucky Dipping a name out of a box) and wrote their friends name on an invitation. 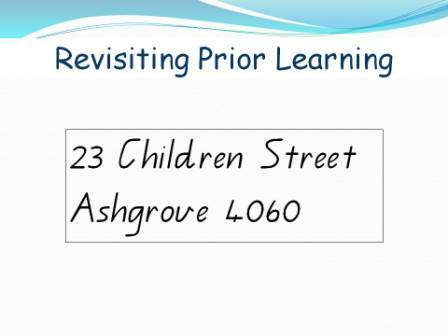 Earlier in the year we had learnt our addresses whilst investigating the postal system and I decided that this was a good opportunity to revisit this learning by posting the invitations to the children. All the children were given “homework” and needed to write down their address at home that night and bring it to prep the next day so we could address the envelopes. I could have gotten the children to write on the envelopes but I knew that some of their hand writing would be difficult to read by the post office and decided to scribe the addresses, with the children recalling or reading it from their “homework”. 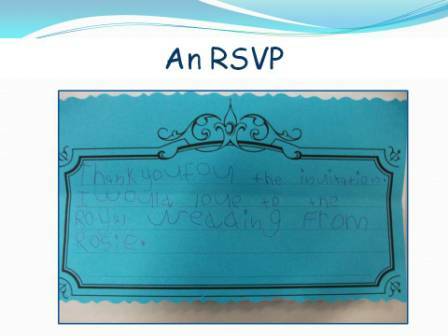 It was an RSVP which her mother had helped her write. She was very excited because “we found the same border on the computer.” This letter provoked a whole new discussion involving literacy as we shared the text together as a class. In order to ensure my children are exposed to, and given lots of opportunities to learn and practice the necessary literacy skills and knowledge I need to ensure we have a very text rich environment. One of the ways I do this is through our Word Walls. These walls are close to the writing and drawing areas and feature Sight Words and other commonly used/needed words such as ticket, open, closed, Happy Birthday and love, as well as vocabulary words relevent to our current learning, investigations and play. As our play progresses we add words to the wall. 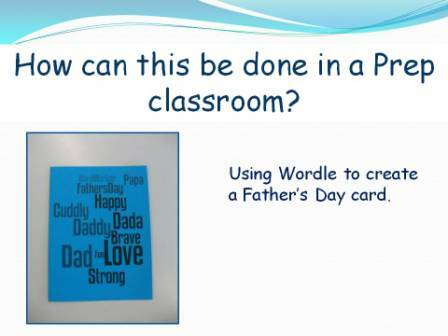 Often, if you search the internet, these vocabulary/word cards can be found already made up, ready to print but sometimes we make them ourselves, which was the case with the wedding words. 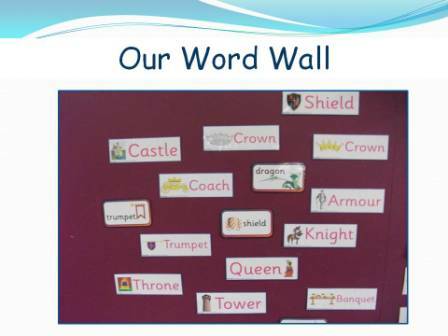 These Word Walls are another place for the children to look for assistance when they make signs etc. 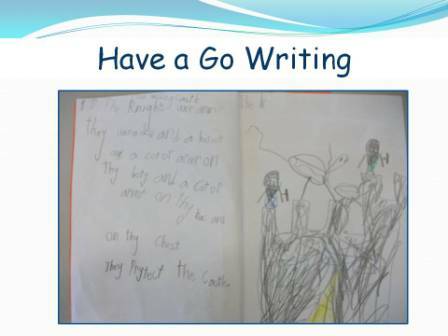 and when we “Have a Go” write. I try to timetable “Have a Go” writing into the program at least 3 times a week. Sometimes the children are given a topic to write about, usually involving our current interests, which is what these samples are taken from, they have free choice or it can be, for example, a recount such as a diary entry of something that they have done that day or of a story. Here is a link to a previous post about these sessions. Students write one or more simple sentences to retell events and experiences for a known audience. Their writing is connected appropriately to illustrations and images produced as part of the text. They link two or more ideas or events in written and spoken texts. They use and understand familiar vocabulary, predictable text structures and common visual patterns. 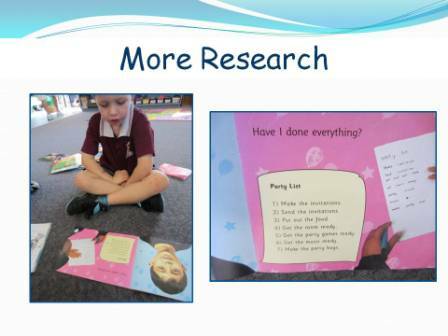 The short texts they produce show understanding of concepts about print including letters, words and sentences. They use left to right directionality, return sweep and spaces between words. They handwrite most lower case and some upper case letters, and use some capital letters and full stops. Their writing shows some evidence of the use of sound–letter knowledge. As well as the example slide above, here is another example of my children’s writing. The above example was written by one of my most immature children. 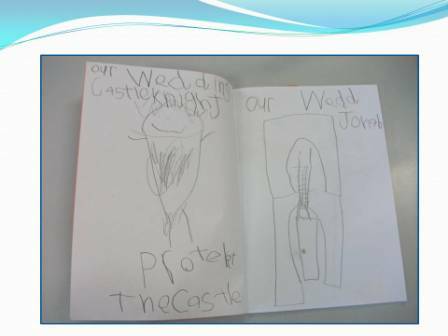 You can see where he is applying letter sound knowledge when he writes protect as protekt, and where he is using environmental clues for words such as castle. He is also applying his knowledge of sight words such as “the” and puntuation. He was able to share his text with me. It was I am a castle knight. Knights protect the wedding castle. These examples demonstrate the range of abilities of the children in my class. although the first example is not my “best writer”. They also demonstrate the range of developmental stages in terms of drawing body images and drawing representation in general. With a whole term still to go, I feel confident that all the children in my class will achieve the English Standard stated above for Text Creation. The children’s ability to symbolise their experiences through writing is clearly demonstrated when you look at these examples and all of it has been achieved through the implementation of a play based pedagogy. 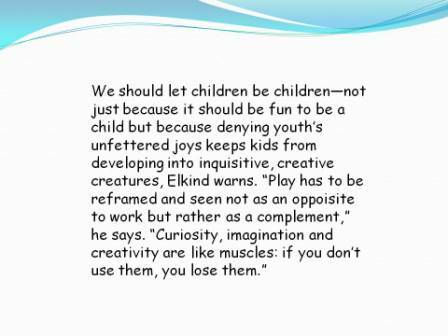 Knowing that play is the way children learn best and trying to address all the issues that a National Curriculum imposes upon our young children and their education has caused me to think long and hard about my philosophy and pedagogy. 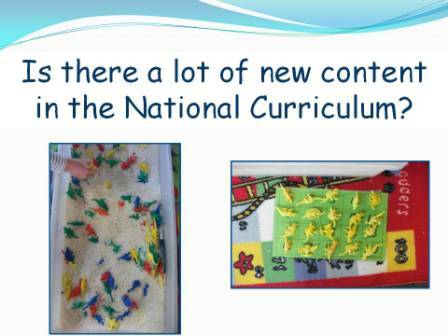 When the initial draft of the National Curriculum was first released I wondered how I was going to assist my children to achieve the higher expectations and standards especially when I took into consideration the developmental readiness of children to be able to read and write. I still believe that you can’t teach children to read until they are developmentally ready but I also believe that if you immerse them in lots of literacy opportunities and experiences, when they are develomentally ready, they will soar. 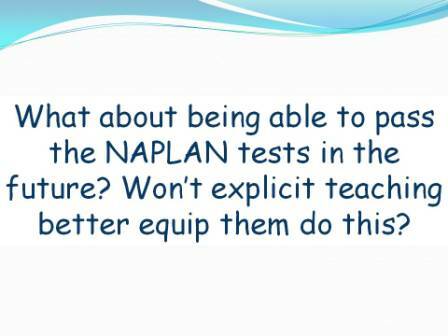 I was very concerned about the initial standards and also if we were going to be told how to teach them. To address these concerns about the Draft Standards my colleagues and I took the opportunity to leave feedback on the ACARA site, as did many other teachers across the country. I am very happy to say that the current standards have addressed many of the concerns raised and the curriculum is all content, not pedagogy. Knowing that the literacy and numeracy outcomes were higher than those our children were achieving, our principal decided to send all 4 Prep teachers to Melbourne last year, to observe their methods and discuss pedagogy, resources etc with our Victorian colleagues. Why Melbourne? Because Victoria is currently the leading state in Literacy and Numeracy standards in the country. We were very excited about this Professional Development opportunity and spent 2 days in Melbourne visiting 4 schools, 2 state and 2 private, in socio-economic areas similar to our own. The 2 private schools visited were of special interest to us as 1 was a Reggio Emilia school and the other was an International Baccalaureate (IB) school. The IB school was chosen because the previous year another Prep teacher and I had attended an IB conference in Sydney where we were inserviced on the IB philosophy in the Early Years. 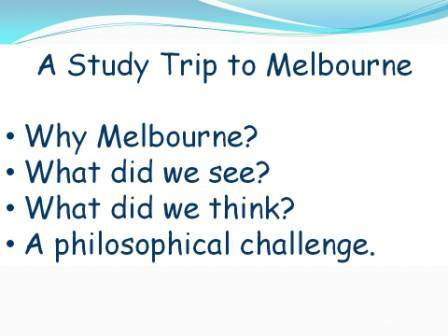 The IB philosophy was one that the school was interested in implementing at the time. What did we see? In all 4 schools we observed Literacy Rotations in the morning session and Numeracy sessions in the middle session. After lunch the sessions were varied. In 2 schools the children played with resources in the classroom and in the other schools they were involved in inquiry/investigation/project work. What did we think? 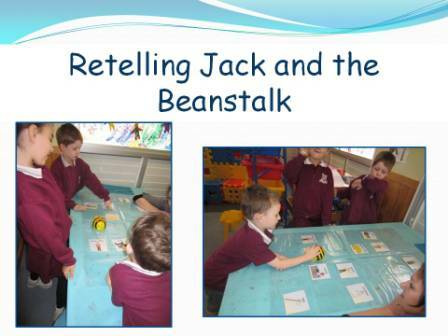 Whilst we could understand why the teachers in the schools visited were teaching using rotations we thought we would like to try and continue with our play pedagogy and attempt to meet the English standards over the rest of the year. Our mutual decision to do this provoked some interesting, reflective professional discussions about pedagogy and the practicalities of our decision. We were accompanied on this trip by our Deputy Principal who, I think. thought that we would decide to use the Victorial model, but after listening to and participating in our discussions over breakfast, lunch and dinner was supportive of our decision and helped us to clarify some of our thinking and solve some of the problems we needed to resolve. 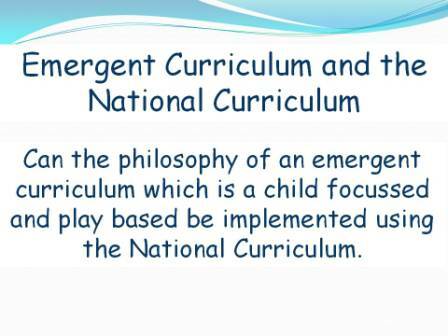 A Philosophical Challenge – Whilst we had made a decision to continue with our play pedagogy our other challenge was in considering if an Emergent Curriculum could be melded with the content of the National Curriculum. In an emergent curriculum the children may have developed an interest in space. This is an interesting and valid way to incorporate this understanding through the children’s play as they problem solve what astronauts need to survive in outer space. In fact they will probably develop a more indepth knowledge through this kind of play than if they just talked about what was needed on Earth. This concept could also be explored for example through a pet or plant shop with the children creating information notes to share with potential customers. 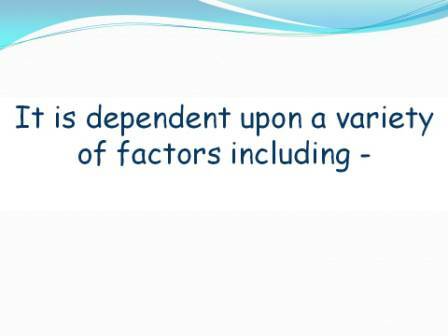 The first of these and perhaps the most important one is……..
and that our young children are………. then with teaching, suitable to their learning styles, these children can rise to, achieve and even excel in meeting the higher expectations/standards mandated by the National Curriculum. 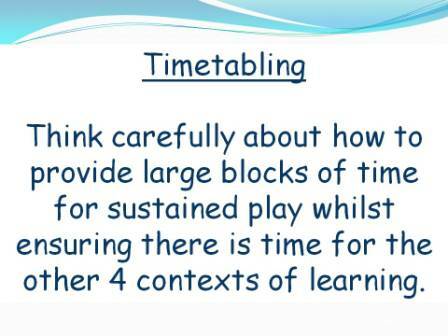 Another item of critical importance to consider when wanting to play and meet the mandated outcomes was timetabling. The kind of play you saw earlier in the Wedding Castle occurred over a 5 week period and required long periods of time almost everday to provide the children with opportunities to participate in and sustain their play, think, problem solve and make what they required to extend their interests and ideas. Time also needs to be allocated to provide opportunities to share, record, reflect and plan ahead about what is happening in their play and what needs to be extended, researched and implemented next. Here is a sample of my Weekly Timetable where you can see that for 4 days a week my children play in the entire middle session. The rest of our time involves the children in carefully planned “hands on” experiences that provide opportunities to explicitly teach, practice and master concepts and skills in all curriculum areas. You will also notice that there are blank time spaces. 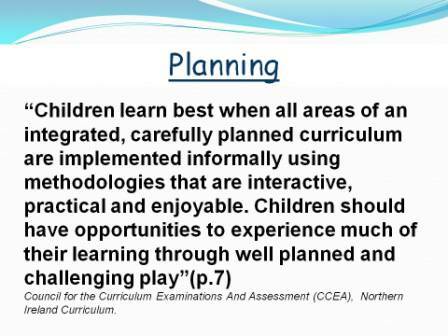 These areas allow for flexibility in planning experiences that often extend their play through more explicit teaching eg. 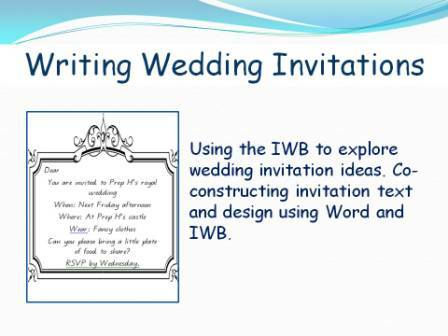 creating the wedding invitation or “Have a Go” writing. 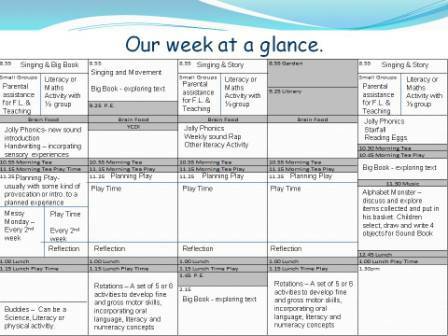 This timetable is also just a sample of what our week can look like and again is flexible in terms of meeting the children’s and curriculum needs. Buddies and Messy Mondays occur every fortnight and are enthusiastically awaited. Messy Mondays are the days we play outside for the whole play session and incorporate as much “messy” play as we can manage and supervise. These experiences are again carefully planned to ensure maximum learning is achieved through these fun and usually very kinaesthetic and motor focussed activities. Just like in an indoor play session the children are free to move, explore and select where they want to play. 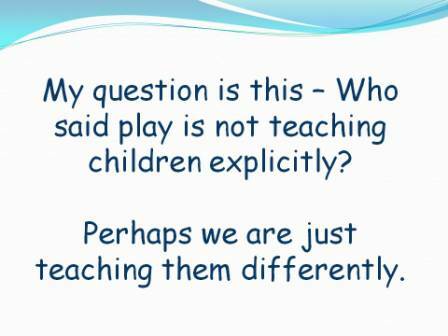 I have talked a lot about planning and the need to carefully consider how explicit teaching of the curriculum needs to be woven into the play. When implementing a play pedagogy the teacher needs to be constantly observing and listening for opportunities to enhance the children’s learning and looking for teachable moments. Sometimes the best teaching and learning is through these special moments. For Example. Last term the children constructed a zoo and whilst we were researching the animals in the zoo we came across an interesting fact in a powerpoint I had found on the internet about animals from the different continents. The facts was – Snow Leopards can leap 25 metres. Wow! We discussed how far the children thought it was and I told them it was the same as the length of the school pool. I could see that they were still unsure of this and so we grabbed our 1 metre ruler, went outside, and measured it out in the playground with 1 child at the start and another child standing at the end of each length of the ruler. Fortunately I had extra help that day to make up the extra numbers to 25. Once we had done this I asked the children to step out of the line and look at how far it was from the first person to the last person. They were amazed at how far this leopard could leap when they saw the distance in real life and had participated in the measuring process. To further enhance their understanding we ran, jumped, skipped and moved in lots of different ways across the distance. These children now have a very real understanding of just how long 25 metres really is and the ability of snow leopards to leap long distances. By participating in the measuring process lots of Maths understandings and numeracy skills were explored as well. 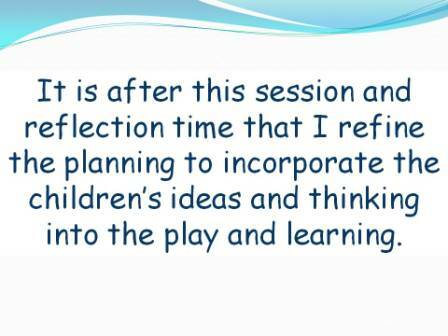 Another important key to implementing a play pedagogy is reflection, not just reflecting with the children but also self reflection about the school day. 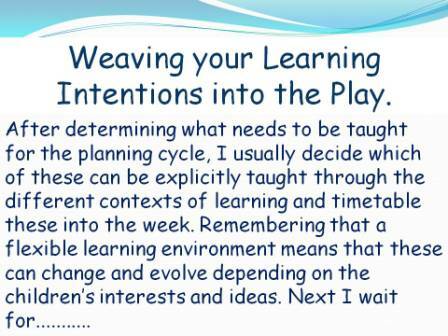 It is during this daily teaching reflection that I often gain further insights into how to weave curriculum needs into the play. 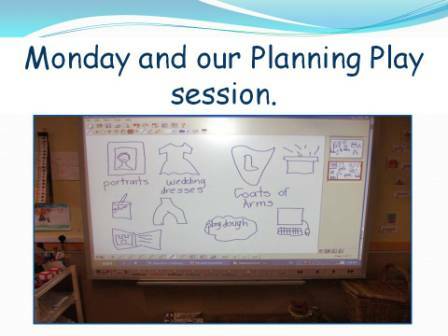 The children plan play time collaboratively every day and I record this on the IWB. We reflect on the play at Meeting Time and using a different colour, record our thoughts, ideas and future plans. I like to plan fortnightly but review and reflect on the outcomes and intentions weekly. This document is divided into the 15 Learning Statements with room for individual and small group outcomes as well. 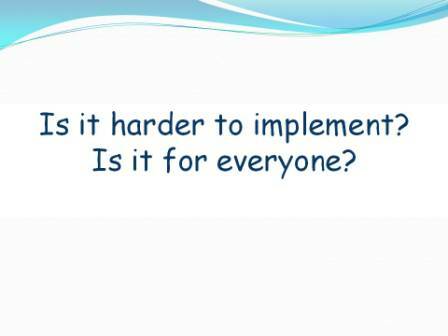 At the start of each fortnight I decide what needs to be taught based on curriculum documents, observations, reflections and the children’s interests and needs. I plan “hands on” experiences for the focussed learning and teaching times and look for opportunities to further incorporate these Learning Intention into play time. To show you how this is done I have put together some examples from the last few weeks in my classroom. Here are the Reading and Viewing intentions for last week. 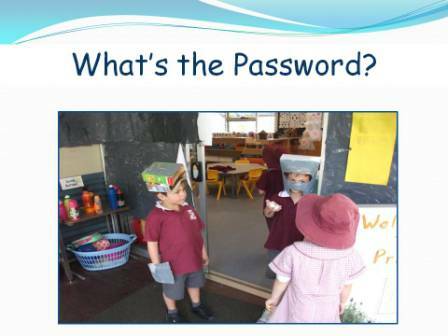 After observing our castle guards asking for passwords to let people in and out of the castle, I used this play idea to incorporate the above learning. After Morning Tea the guards would ask the children if they were a friend or foe and, if and when, they said “friend” they were asked to say a word beginning with the sound /w/. 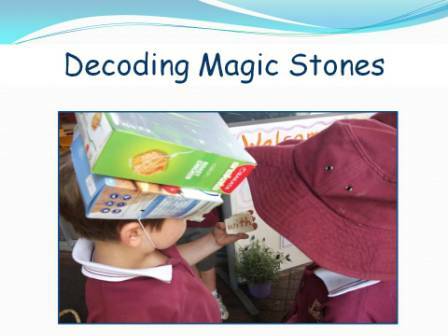 After Lunch the guards asked the children to decode the Magic Stones which had our sight words on them. The children asked to do this every day for several weeks. We rotated the guards daily, which provided opportunities for all the children to ask the questions and to broaden their knowledge of words beginning with the sound and to read all the words. 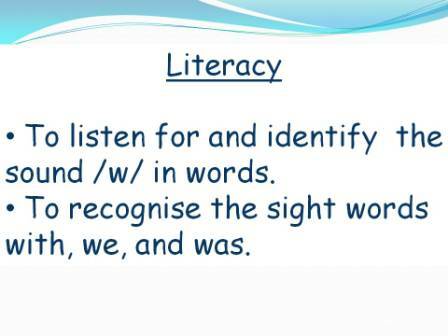 Whilst some children cannot read all the sight words, they were exposed to them daily and given assistance when needed. Every child in the class very eager to participate in this (unbeknowns to them) literacy experience. To weave these outcomes into the play required a bit more thinking on my part. The counting was fairly simple to achieve as we had many, many valid reasons to count not just to 20 but to 25. The ordinal numbers and vocabulary was a bit more tricky. 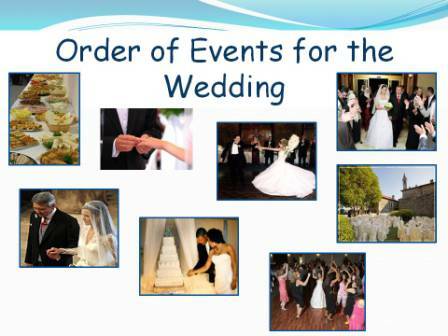 We were able to practice these when we decided on the sequence/order of events at the wedding. 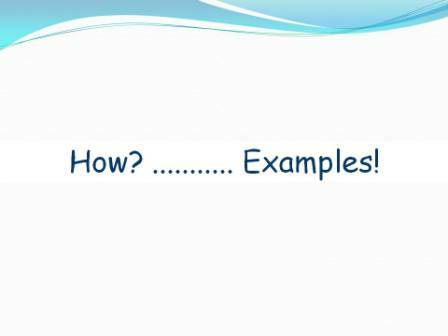 These were on a Powerpoint slide and we manipulated the images into the desired sequence on the IWB. We had a wedding rehearsal to check that our sequence was appropriate and made adjustments where necessary. 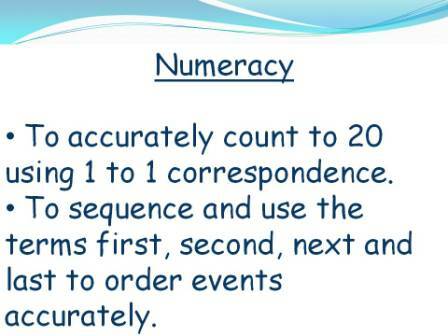 After carefully reading all the English, Mathematics and Science elaborations and comparing them with the Early Years Curriculum Guidelines I don’t think there is. 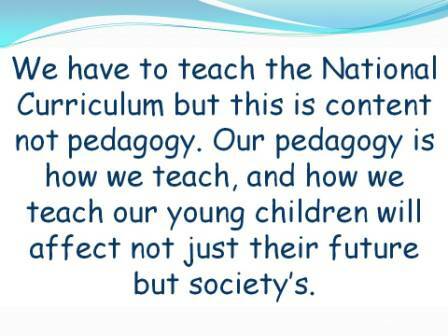 What I do think though is that the National Curriculum is much more explicit and will enable us as teachers to really focus on the content. 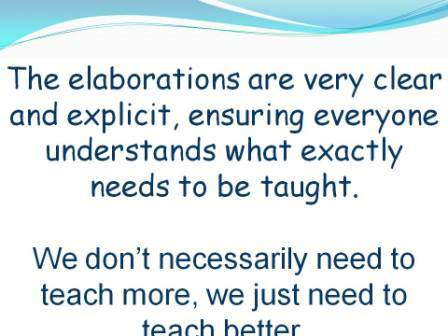 Better meaning – with more clarity of content and more explicit teaching of skills as well. 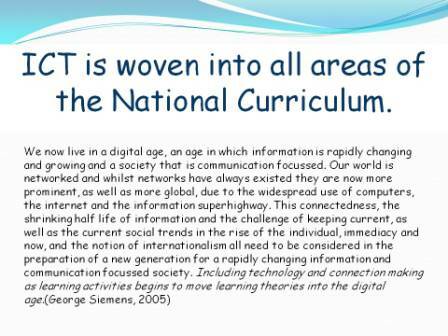 Another feature of the National Curriculum is the way ICT is embedded into it. Again, the elaborations are very explicit about the ICT skills the children will need to learn. 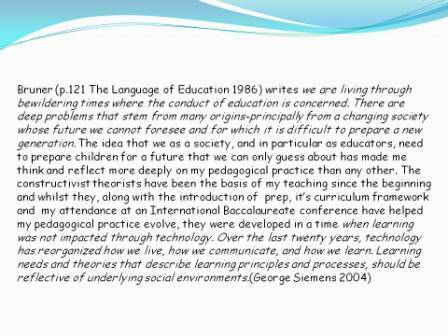 Digital and multimodal texts are also explored and created within the content ensuring that the children develop the critical and higher order thinking essential for 21st century learning and living. A play pedagogy often needs advocacy within the school context because the learning is often hidden to those who don’t know what to look for, especially school administrators. This is why it is important to make the learning evident within the classroom. 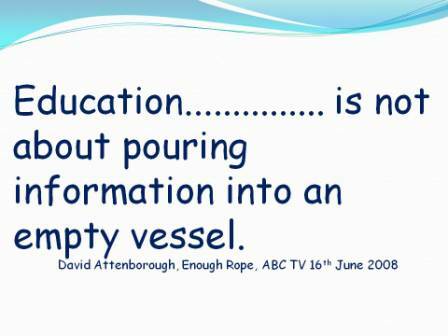 My response to this is……..
Schools today are often driven by data. In our school, our administrators have always had high expectations in terms of academic achievement especially after the introduction of Prep. 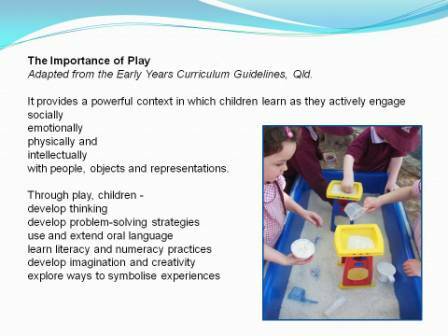 There was pressure on us to ensure that these expectations were met because of our strong belief in our play pedagogy. Our first cohort of prep children sat the Year 3 NAPLAN tests last year. 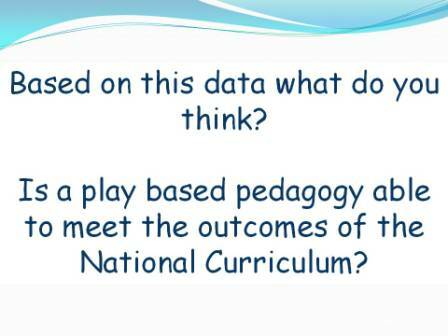 These results were going to be the test as to whether our play pedagogy could achieve good results on a national scale. 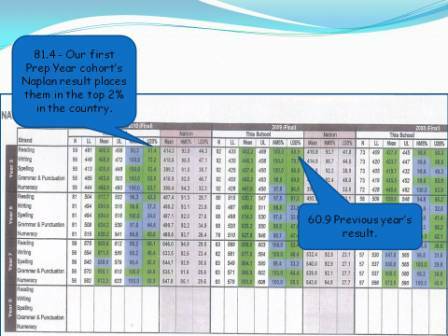 Here are our NAPLAN results from that year. 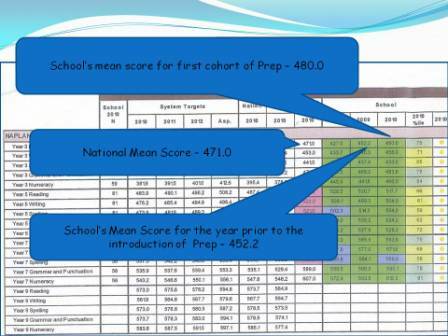 Here are are mean test scores when compared to like schools across the country. Last year as part of our experiment in trying to achieve the National Curriculum literacy outcomes through a play pedagogy we decided to Benchmark our children’s reading to see what reading level they were at. Here are my class results. These levels were achieved without Guided Reading. 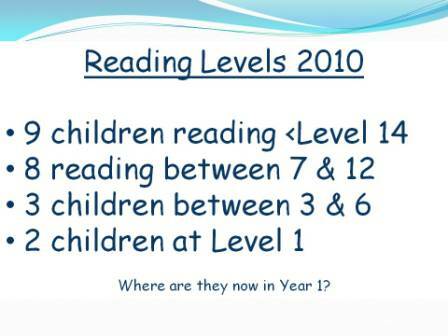 In March/April of this year, the children who were reading at Level 1 had progressed to Levels 5 and 8. We believe it can and the data above is proof. 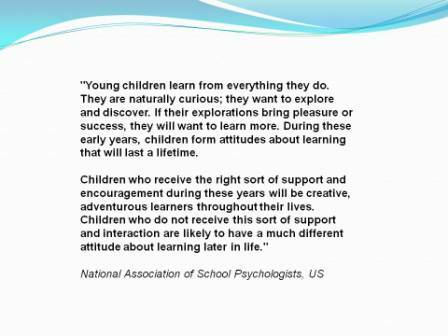 I think we would all agree that play is the way young children learn best but believing that and implementing a play pedagogy raises some questions……….. 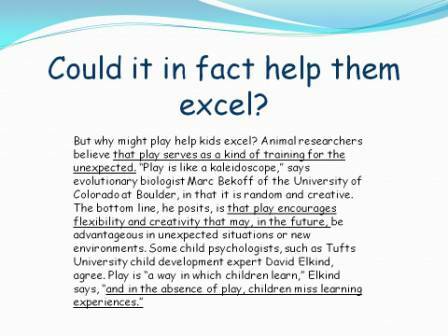 I think that play is perhaps not harder but more complex to implement because, as stated in the research, it needs to be carefully planned and challenging. 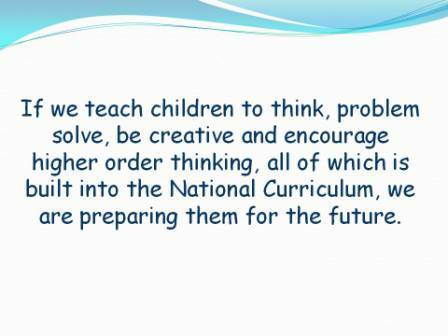 Children’s thinking is an area of interest to me and I spend a lot of time planning ways to challenge their thinking and problem solving skills whilst weaving in the necessary curriculum outcomes. A play pedagogy involves placing your trust in the children’s imagination and curiosity. Some teachers like to have more control than this over the classroom and curriculum and that is understandable, particularly in this time of change in Australian education but that doesn’t mean that you can’t play. Dipping your toes into the water and taking little steps where play is concerned is how I started and slowly, as I gained more confidence the play became more complex. 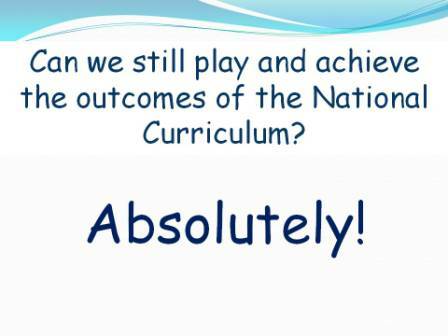 I also believe that the National Curriculum with it’s explicit elaborations will make playing easier because you know exactly what needs to be taught and can mark it off when covered. Why is how they are taught so important? Which is why we play in our Prep classroom. I am so inspired by your presentation. 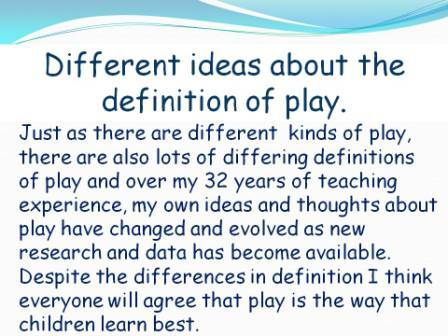 I am new to ‘play’ in the classroom this year but have the same discoveries as yourself. The children teach us what they need, that’s what I love about it. 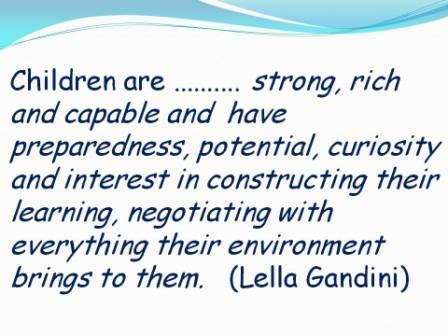 I also feel I am able to understand the whole child, not just what they produce academically but their interests and little quirks. What amazing little people we work with & what amazing minds they have. Thank you for your insights. I love visiting your website & thank you for sharing with us all. 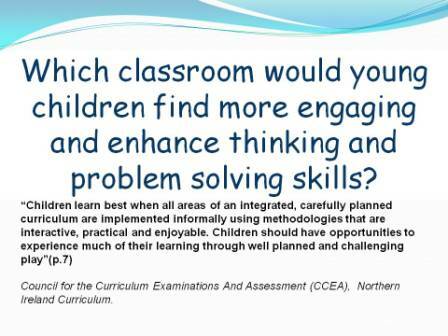 What would you recommend for those teachers who are being asked to implement the C2C units in Prep? 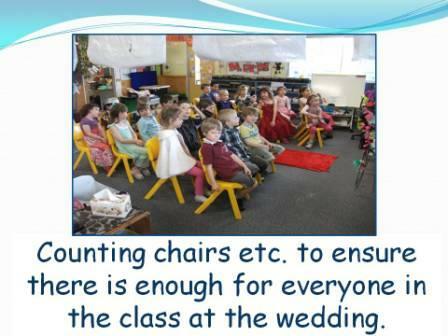 great wedding tips , I will have to share them with my porspective brides.